ca 360 - 350 B.C. 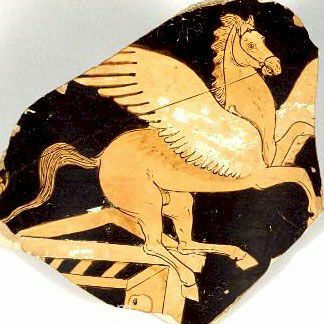 The winged horse Pegasus flies above the fountain-house of the spring of Peirene in Corinth. Bellerophon (not visible) holds the other end of the horse's bridle.